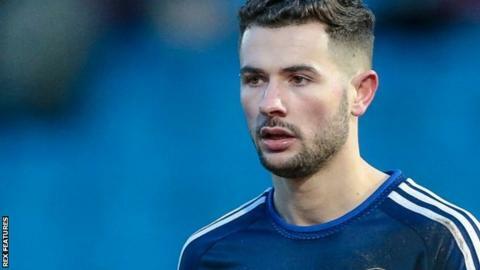 A second-half strike from Connor Hughes saw 10-man Halifax leapfrog Altrincham and move out of the National League relegation zone. Following a goalless first half, James Bolton was sent off after the break for bringing down Damian Reeves. But, despite having a man less, the hosts took the lead when Hughes found the net from inside the box. The win means Halifax have moved up to 19th in the table, two points ahead of 21st-placed Alty. The visitors went close to taking the lead when Halifax defender Jake Hibbs cleared a Josh Ginnelly chance off the line. Alty also had a chance to equalise late on but Reeves fired wide from inside the box. Match ends, FC Halifax Town 1, Altrincham 0. Second Half ends, FC Halifax Town 1, Altrincham 0. Attempt missed. Gianluca Havern (Altrincham) right footed shot from outside the box. Assisted by Jimmy Phillips. Attempt blocked. Michael Rankine (Altrincham) right footed shot from outside the box is blocked. Attempt missed. Damian Reeves (Altrincham) right footed shot from the centre of the box misses to the left. Foul by Gianluca Havern (Altrincham). Jordan Burrow (FC Halifax Town) wins a free kick. Attempt missed. Jake Moult (Altrincham) left footed shot from the left side of the box is too high. Assisted by Jimmy Phillips. Substitution, Altrincham. Josh O'Keefe replaces Simon Richman. Attempt missed. Jake Hibbs (FC Halifax Town) right footed shot from the left side of the box is too high. Foul by Michael Rankine (Altrincham). Hamza Bencherif (FC Halifax Town) wins a free kick. Foul by Shaquille McDonald (FC Halifax Town). Jimmy Phillips (Altrincham) wins a free kick. Substitution, Altrincham. Jimmy Phillips replaces James Lawrie. Attempt saved. Simon Richman (Altrincham) right footed shot from outside the box is saved. Goal! FC Halifax Town 1, Altrincham 0. Connor Hughes (FC Halifax Town) right footed shot from the left side of the box to the bottom left corner. Substitution, FC Halifax Town. Shaquille McDonald replaces Josh MacDonald. Attempt missed. Josh Ginnelly (Altrincham) left footed shot from the left side of the box misses to the right. Offside, FC Halifax Town. Jordan Burrow tries a through ball, but Jordan Burrow is caught offside. Foul by Nicky Wroe (FC Halifax Town). Attempt saved. James Lawrie (Altrincham) left footed shot from outside the box is saved. Substitution, Altrincham. Michael Rankine replaces Sam Heathcote. Foul by Josh Ginnelly (Altrincham). Attempt blocked. Josh Ginnelly (Altrincham) right footed shot from outside the box is blocked. Substitution, FC Halifax Town. Connor Hughes replaces Waide Fairhurst. Attempt blocked. Kingsley James (FC Halifax Town) left footed shot from the right side of the box is blocked. Attempt saved. Jordan Sinnott (Altrincham) right footed shot from outside the box is saved. James Bolton (FC Halifax Town) is shown the red card. Damian Reeves (Altrincham) wins a free kick.